Professor received the "Distinguished Service Award"
Professor Margarida Tomé, researcher of the Forest Research Center, School of Agriculture (ISA), was recently recognized with the IUFRO award: “Distinguished Service Award” in the IUFRO Congress that took place in Freiburg, Germany from the 18th to the 22th of September. ISA and CEF are extremely proud of this recognition to one of its members. The award is attributed to those whose work has substantially furthered the scientific, technical and organizational aims of IUFRO (International Union of Forest Research Organizations). The Award was presented in the Closing Ceremony of the Congress, by the IUFRO President. 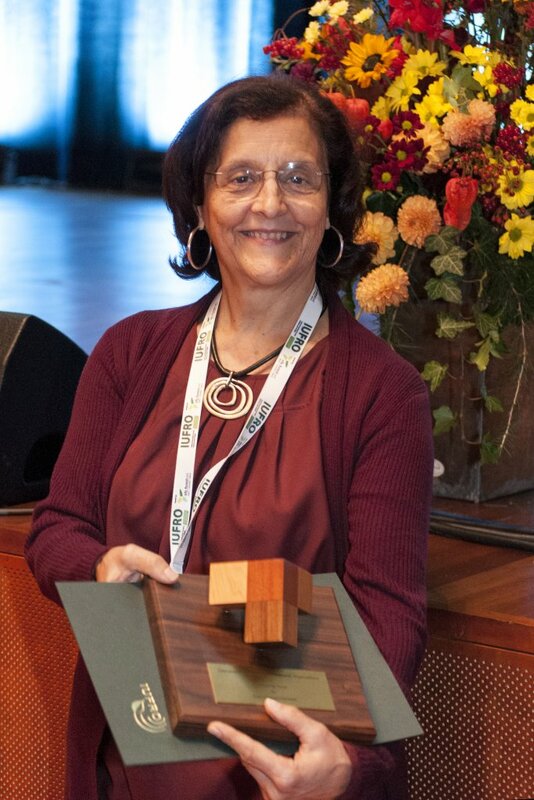 Professor Margarida was coordinator of the IUFRO division 4.0. for almost 10 years, from 2005 to 2014.